Geographic Information System (GIS) and Remote Sensing (RS) are rapidly growing sub-fields with applications in environmental science, national security, demography, intelligence, forestry, disaster assessment, environmental management, climatology, urban planning, criminal justice, food studies, and agriculture among other areas. IU Geography is the principal location of training in Geographic Information Systems and Remote Sensing at Indiana University Bloomington. 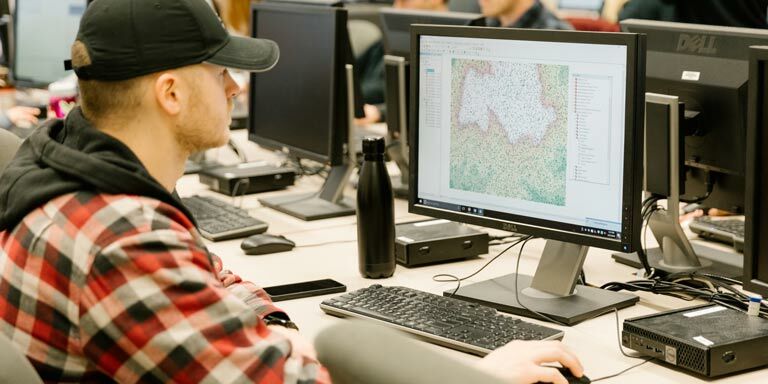 Our GIS/RS concentration teaches you skills in the analysis, management, and application of spatial information through analysis of digital geospatial data. In this program, you learn real-world skills in understanding how to critically analyze social and environmental dynamics. How does population growth affect environmental degradation? How does gentrification affect long-term social and economic inequality in urban areas? How will climate change affect food and water security in the future? These types of questions can be powerfully addressed through the application of GIS and Remote Sensing. The curriculum includes the background, theory, and technical skills for global positioning system (GPS), digital mapping, image analyses (both satellite and airborne), geo-visualization, and spatial modeling in different fields. Our students in this concentration become GIS/RS professionals as environmental analysts, urban planners, university instructors, market analysts, cartographers, GIS librarians, disaster managers, and watershed/forest researchers. A major skill I have learned is utilizing GIS software. 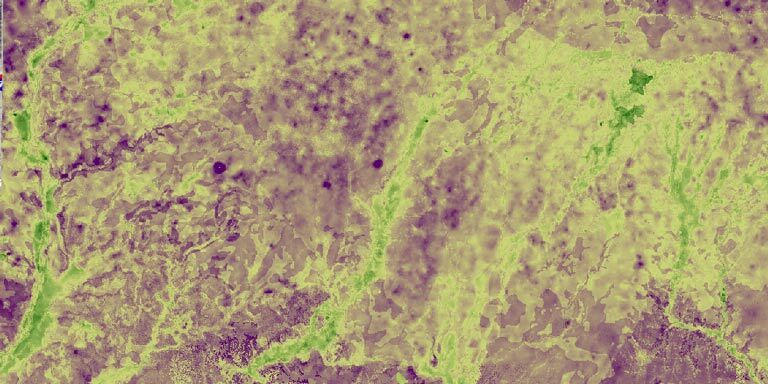 Satellite imagery and computer mapping is a huge part of our everyday lives that often goes unnoticed by its consumers. It is also a huge career opportunity. 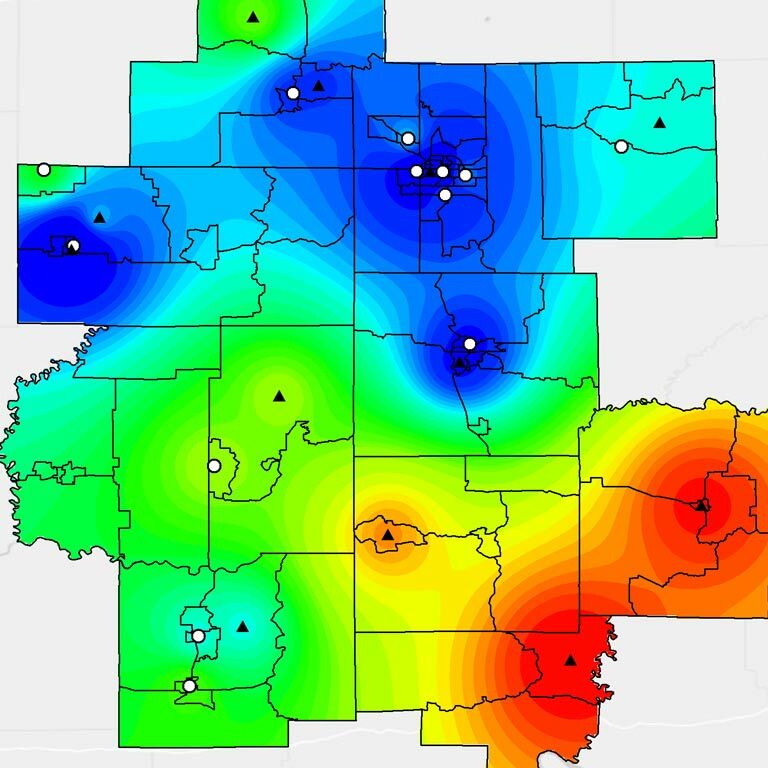 Whether you want to work in food retail, business, education, or with the federal government knowing GIS techniques is vital and can be the difference between you and your competition in a job interview.